If you are experiencing problems with regulating the temperature in your home, it may be an issue with your thermostat. In the Boston area at this time of year, it is essential that your thermostat is working properly to ensure that you don’t have to wear a winter coat in your home. 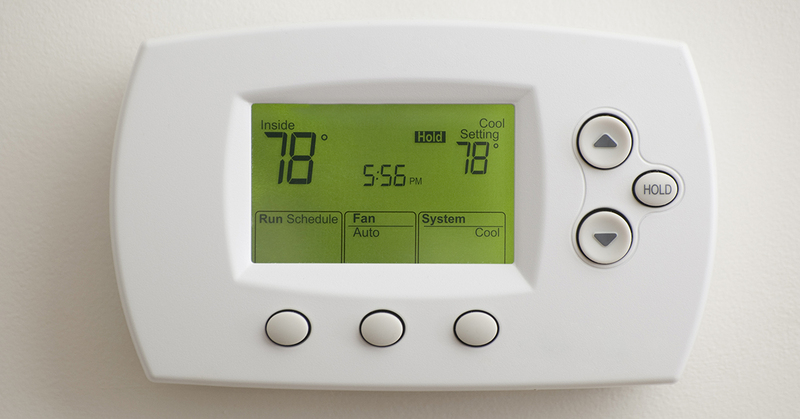 As HVAC experts in Boston, Lamco Systems can help you with any issues you have with your thermostat. However, it may be helpful to troubleshoot your thermostat first to see if there is a simple solution. Here are some of the most common problems when it comes to home thermostats. Believe it or not, something as simply as dust can disrupt your thermostat and affect the temperature levels of your home. When dust accumulates inside the thermostat, it can cause inaccurate temperature readings. Simply removing the housing of the thermostat and using a soft brush or feather duster to remove the dust and dirt may be enough to solve the problem. If your home is having issues with heating this winter, it could be because your thermostat is being hit by direct sunlight. If you are having this problem, observe your thermostat throughout the day and see if it is too close to a window and is getting hit by the sun. Sometimes when this happens, the thermostat gets false readings, believing that the home is warmer than it is and therefore, shutting the heat off prematurely or never turning it on at all. Similar to the issue with direct sunlight, thermostats are sometimes placed too closely to a source of heat, such as an oven or fireplace. These can cause your thermostat is have the same problem where it registers higher temperatures than there actually are in the home. In this case, it is best to move the thermostat. While this can be a very simple process, it may be more complicated based on the wiring of your home. An HVAC technician from Lamco Systems can perform the work for you, placing your thermostat in a better spot in your home. Do you find that some rooms in your home are perfectly comfortable, while others are freezing? Another issue of location is your thermostat is placed in a room where it is not distributing the temperature evenly. It is key to install your thermostat in a room that is centrally located, like a hallway. If you are experiencing uneven heat distribution, it can also be caused by other factors, so you want to contact an HVAC repair specialist about it. While thermostats last for years, occasionally, they may need replacement. Investing in a new programmable thermostat can save you hundreds of dollars a year, so it is worth the price of the model and installation. Contact us and we can install a new thermostat for you. At Lamco Systems, we can provide you with the HVAC repair services you need, whether related to your thermostat, furnace, or something else. Contact us today for our HVAC services!